Sin is the Spanish word for ‘without’ and is the quickest way to order an alcohol-free beer. Just ask for ‘una sin’. From being practically undrinkable 10 years ago, the standard of sin-alcohol beers has really improved. Our favourite Spanish brand is Estrella Galicia but there are many more great options out there. We generally order whatever is on tap in a bar or restaurant as the taste and pour is always better than from a bottle or can. Alcohol-free beer on tap is available in most Spanish bars. If you want to have some alcohol but not full-strength, keep an eye out for low alcohol beers such as Radler which is mixed with lemon to bring down the alcohol content. 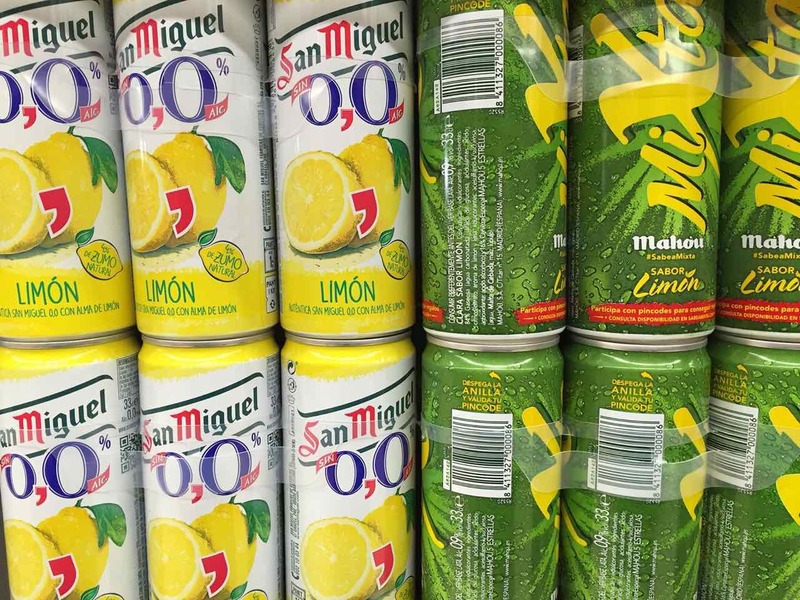 Of course, Spain has its own home made lemon beer which is the ‘clara’ , a beer and lemon or soda combo – like a shandy – and you can state how strong or weak you want it. Another way to limit your alcohol intake while drinking beer is to order small glasses such as a ‘mini-caña’ or ‘un corto’ or, if in the Basque Country, ‘un zurito’ – all small measures of beer that measure roughly 20ml. Spain being one of the world’s major wine producing countries, you’d expect to find quite a few grape juices on the market. ‘Mosto’ is the generic term for grape juice and is as easy to drink as it is to pronounce. It comes in both a red or white variety and is usually presented in a tumbler glass with an olive and a slice of orange. It’s equally popular with adults and children and is often consumed before lunch during the aperitif hour. 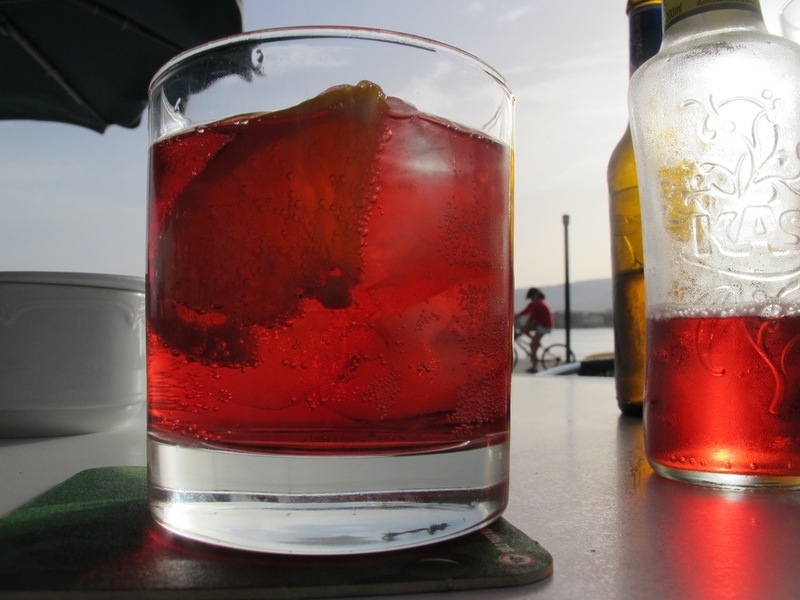 Another aperitivo favourite of ours is the ‘Vermut Sin’ made by Casa del Vermut in Cambrils – we are complete converts – it’s an amazingly authentic taste and perfect for the designated driver or for that quick lunchtime drink when you have work piling up at the office. Try it when you see it on offer – you’ll be amazed at how real it tastes – perfect for washing down platters of seafood or tapas at midday. You can now order alcohol-free vermouth! 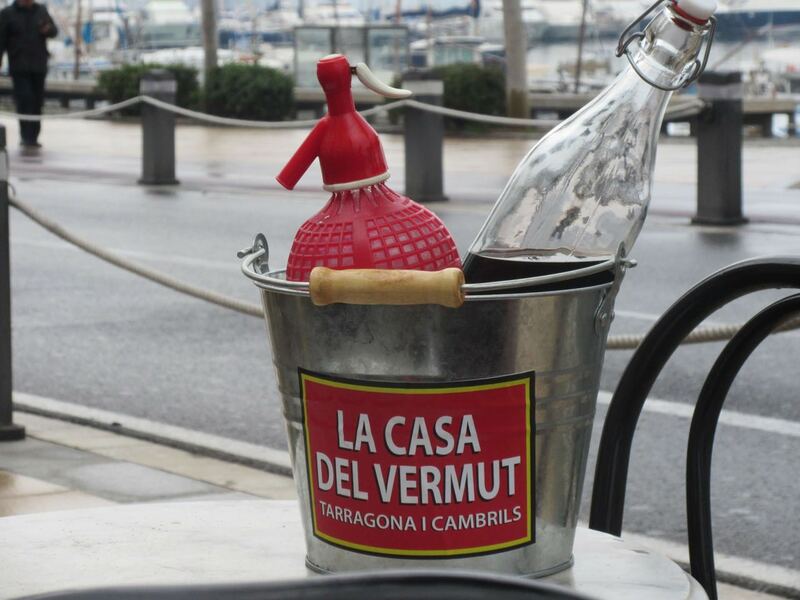 Check out the Casa del Vermut brand – their alcohol-free version is really amazing! It looks the same and tastes the same! Bright pink in colour, the drink is considered by many to taste like a blend of vermouth and soda. We like it as a sour alternative to sugary colas and fizzy lemons. 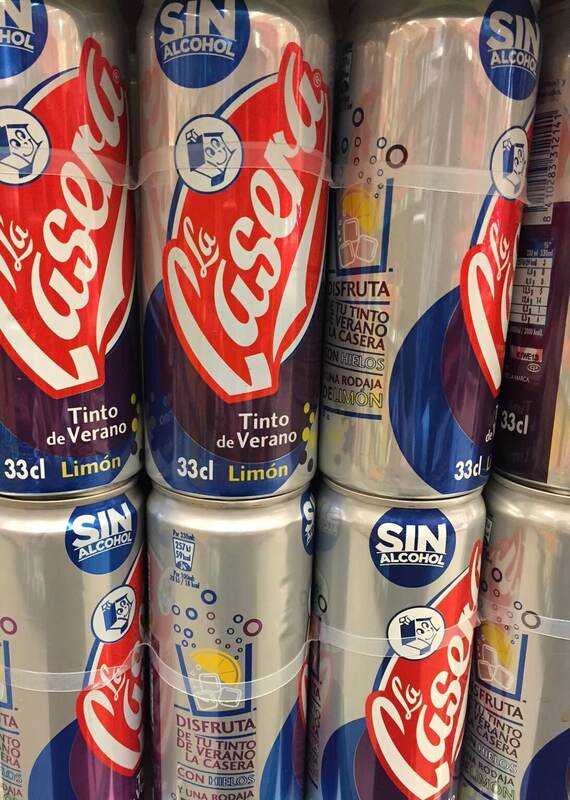 Made by Kas (the most popular Spanish brand for fizzy orange and lemon drinks) it comes from our old home town of Vitoria in the Basque Country. It was designed as a sophisticated adult drink and although it has fallen in popularity in recent decades re-branding is seeing it recover some lost ground. The recipe is a well-guarded secret but we do know that it includes over 20 spices such as cinnamon, nutmeg and gentian root – which crops up in aperitifs and digestifs across Europe. Not something to order in a round of drinks, but this homemade broth or consommé is perfect if you want something to warm you up on a cold day and don’t fancy a coffee. You’ll spot lots of bars with signs saying ‘hay caldo’ especially in the cooler months and you should give this consommé a go at least once. If you fancy, ask the barman to pour in a small drop of ‘jerez’ as sherry goes especially well with caldo. Spain doesn’t have many places serving frappucinos but during the Summer months, the spanish have long had their own solution. Ask for a café con hielo (or a café con leche y un vaso con hielo) and you’ll be given your coffee and a separate glass with ice in it. Sweeten the coffee to your liking and heal it into the ice – perfect! If you are looking for a bit more glamour and you find yourself in glamorous surroundings, you should check out the ‘cocktails sin alcohol’ also known as ‘cocktails virgin’. As fans of the mojito, we tend to order a mojito-sin but when we see a great choice of fresh fruits, we’ll ask for the house special. 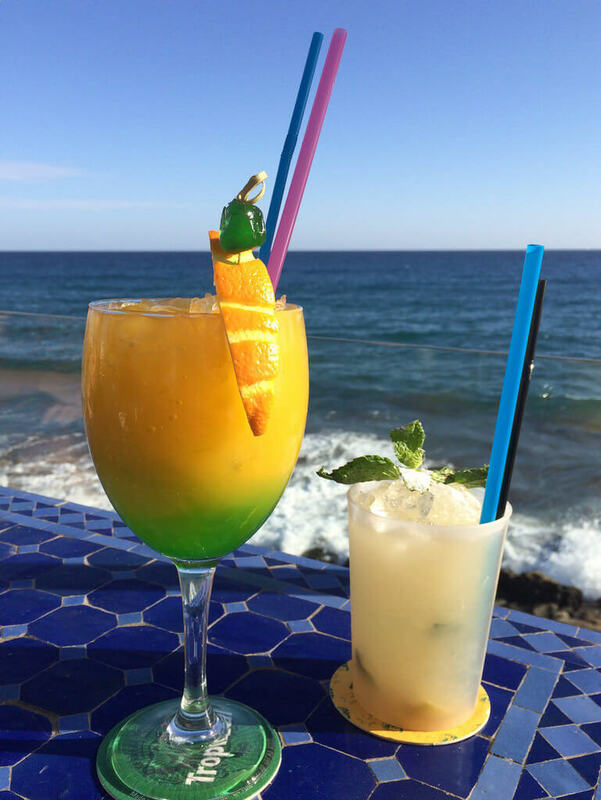 Barmen in Spain have no problem putting together a non-alcoholic cocktail for you or your kids! We’re talking about freshly squeezed orange juice and not the bottled stuff. Some of the very best oranges in the world are grown in Valencia and almost every bar has a juicer. Local and delicious at any time of the day. It’s traditional in Spain to have a chupito (shot-glass sized digestif) after a large meal and we have become big fans of the ‘chupito-sin’. These schnapps-free drinks come in a dazzling array of flavours and lots of places are making their own so do ask what’s available when you are offered a chupito. It’s a great way to stay part of the sobremesa (after dinner chat) that is so intrinsic to Spanish dining. 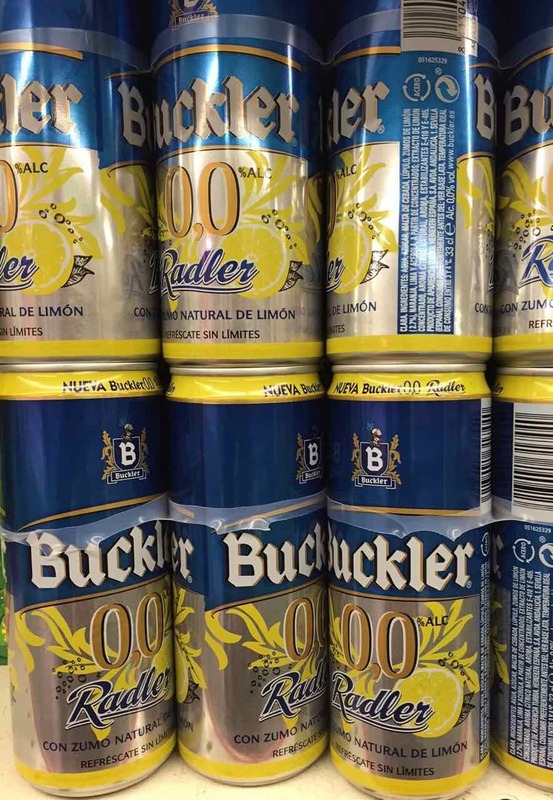 You have to try this whether you are on an alcohol-free trip or not. The horchata in Spain is made from the chufa or tiger nut (not to be confused with the rice milk of the same name from Mexico). It’s a summer drink that is served cold, thick and creamy often with some cinnamon dusted on on top. Another must-try while in Spain. We’d recommend this on its own or with a pastry as a snack. Definitely not with anything savoury. You can pick up a pack in your supermarket or keep an eye out for the homemade versions in ice-cream parlours and bars too! We often make these ice-sorbets at home and love to order them out too. Again, you’ll find them in some bars and ice-cream parlours. 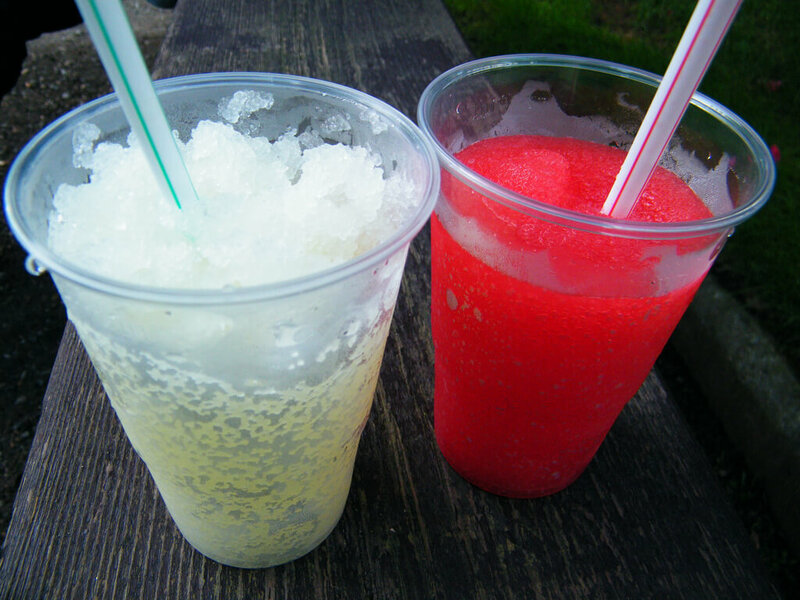 Perfect for a hot day when you don’t want an ice-cream. If you are on a dairy-free diet, this is the treat for you! Homemade lemonade is another summer classic. It’s not as easy to find as it once was so if you see it, give it a go. If you are staying in self-catering, we 100% recommend you picking up some lemons at the fruit market and whizzing up some lemon juice. Just add some cane sugar or honey and you’re done! While we don’t recommend this sweet soda as such, we do think you should know what it is because it crops up quite a lot. Often served in taverns with the more cheeky young red wines, it does help lighten the strength of flavour as well as reduce the alcohol count. But you can drink this on its own – or add it to a beer or alcohol-free beer to give it a bit of fizz or extra sweetness. It’s not unlike 7-Up or Sprite and is very low in calories. Your typical menu-del-dia will often come with mineral water, casera and red wine as standard. 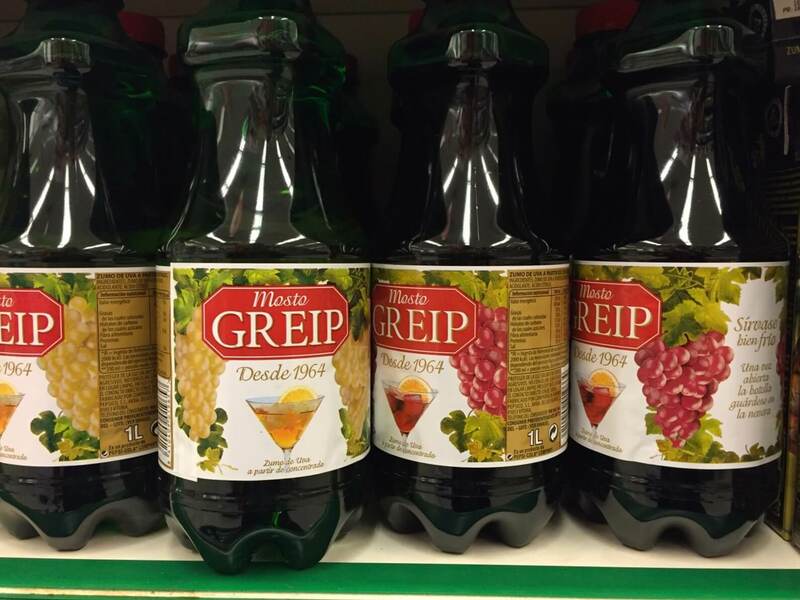 Fans of ‘tinto de verano’ – the sangria-like wine-based drink that’s very popular in the warmer months of the year – will be pleased to know it’s now available in an alcohol-free variety. The original version is a combination of wine and Casera. This alcohol-free version is a combination of grape juice and Casera. 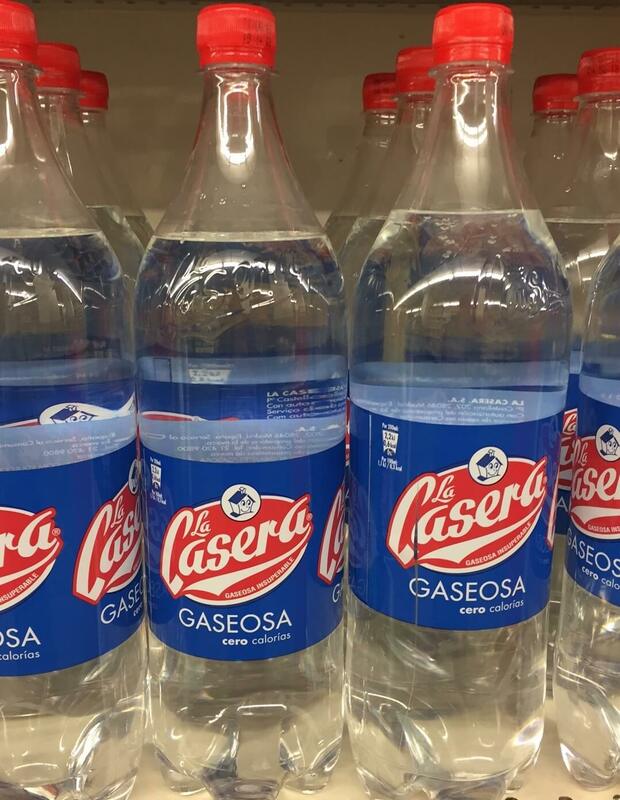 If you want to try this outside Spain and can’t find Casera, mix your grape juice with a combo of lemon soda and sparkling water. The fruitiest of summer drinks – Tinto de Verano – now comes in an alcohol-free version. Make sure to read whether it’s Sin or not as they are sold right beside each other! If you see EminaZero in shops or restaurants, do give it a try. It’s the first alcohol-free wine and is produced in red, white and pink, alongside its more conventional wines by Emina which operates from its bases in the Ribera del Duero and Rueda wine-growing regions. You can visit these wineries and enjoy the wines in situ and the winery also offers helicopter rides and hot air balloon rides over the vines! This is one you’ll come across on dessert menus. It’s a foaming sweet milk drink that’s made with raw egg white, cinnamon and lemon zest. High on the calories and definitely one to try or to make at home. 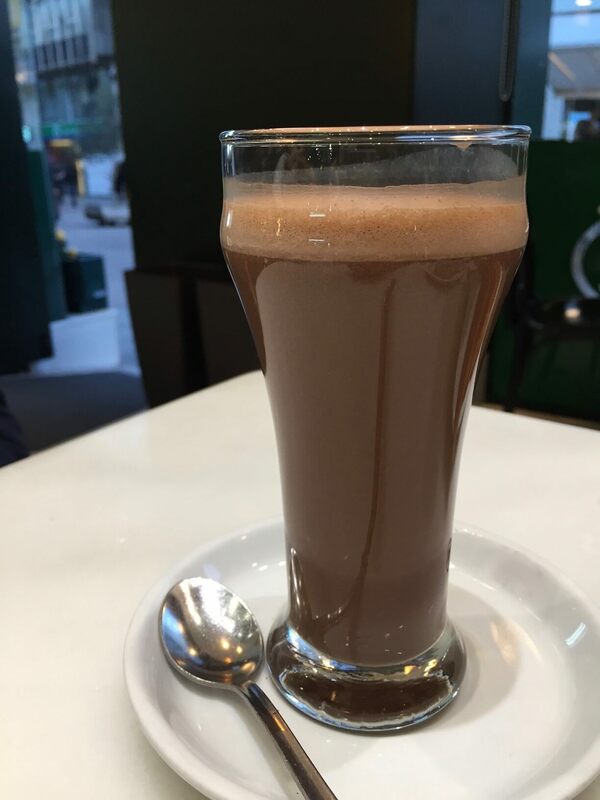 The hot chocolate that is consumed with churros in Spain is unlike any other hot chocolate on the market. It is unusually thick, not very milky and not so sweet either. You can of course add milk and sugar to taste but we find it’s generally best to run with whatever is handed to you. Although it might seem like a kids snack, you’ll find people of all ages dipping into their chocolate in the afternoons and even in the early morning hours after the village fiestas or a big night out. Do not leave Spain without trying one! 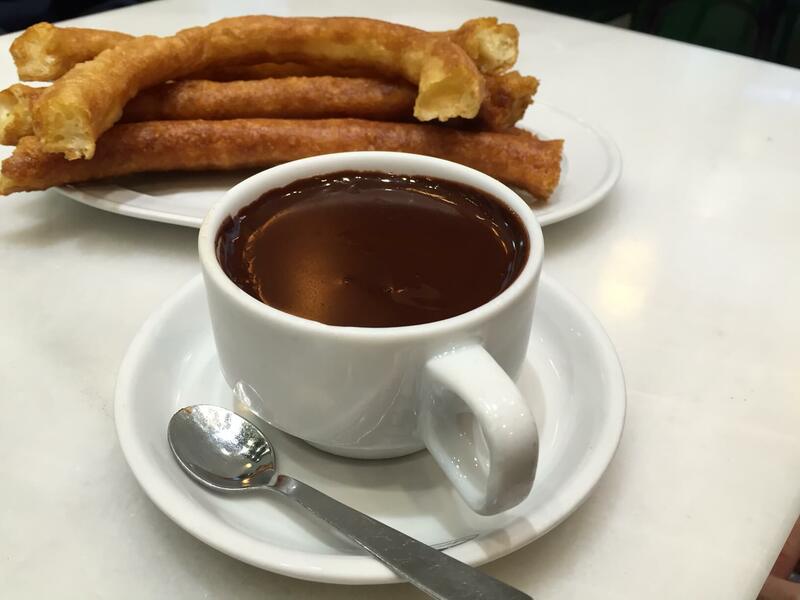 The hot chocolate is delicious – and yes – you may want to order the churros too! You’ll see this and other ‘cacao’ or cocoa-like drinks in the breakfast buffets and all the bars in the morning. 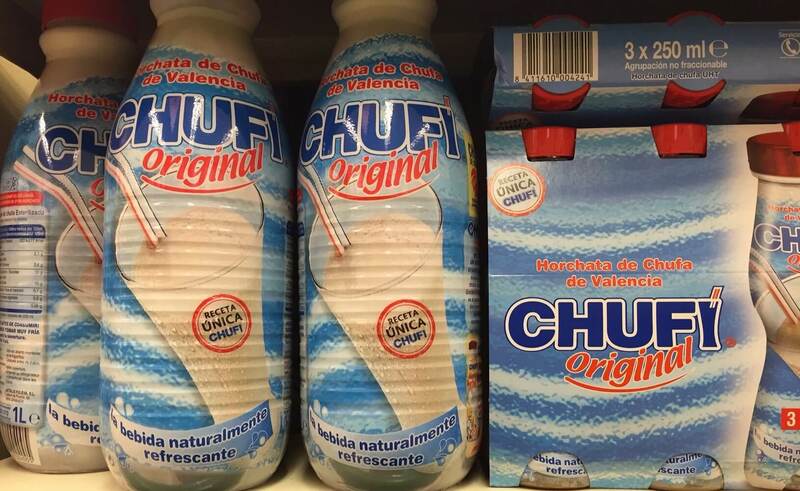 Although it’s actually targeted at children and teenagers in Spain, there’s no reason why you shouldn’t try this malty, chocolate drink at least once. It tastes best when ordered out and the waiter prepares it with frothy milk – that’s when you’ll find us reaching out for a madgalena or sobao to dunk in! Delicious! 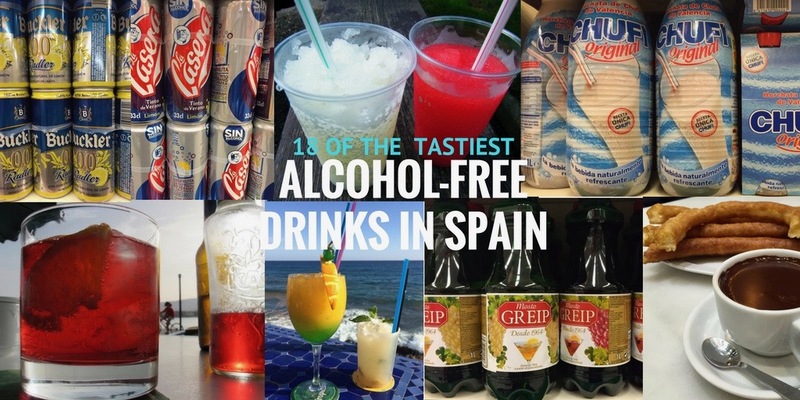 Although it might seem that alcohol surrounds every facet of Spanish society, generally nobody in Spain drinks to get drunk and very few people drink more than two to three units of alcohol at a time even at large celebrations such as weddings. It is perfectly acceptable to refuse alcohol and there is no stigma associated with drinking non-alcoholic drinks in bars or restaurants. Curiously, it’s also fine to be in a bar without a drink of any kind as long as others in your group are consuming something. You can just say “nada de momento” or something like that if the others are drinking and you have reached your saturation point. Staff in bars are accustomed to people going from one place to another and taking a break from drinking from time to time. Similarly, there is no pressure from waiting staff for you to order wine in restaurants because the mark-up on wines in Spain is relatively small. We don’t need to tell you that you should never consider driving a car in Spain or anywhere else if you have been drinking alcohol. Just 50mg of alcohol per 100ml of blood (also known as 0.05 blood alcohol concentration or BAC) will send you over the limit in Spain. That reduces to just 30mg if you have passed your driving test in the previous two years or if you are driving a vehicle weighing over 3.5 tons or containing more than 9 seats. Taxis are inexpensive here so if you find yourself drinking more than a unit or two over a short space of time without any food, or plan on visiting a number of wineries in Spain, our advice is to take a cab, or plan ahead and hire a private driver (read our guide to the benefits of private drivers & guides) or make the switch to one of the many great alcohol-free alternatives mentioned above. 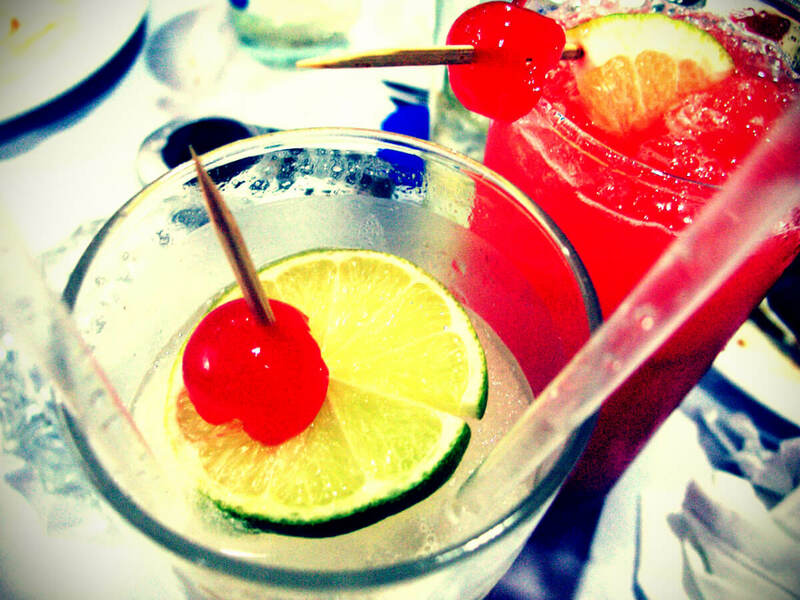 Posted in Entertainment, Food & Drink, Getting Around, Popular Posts, Useful Information and tagged alcohol, alcohol-free, beer, BitterKas, caldo, casera, chupito, cocktails, cola cao, granizados, horchata, hot chocolate, iced-coffee, leche merengada, lemonade, low-alcohol, mosto, soda, vermouth.